As per the needs and requirements of the customers, we are engaged in trading and supplying a wide range of UTP Lan Cable (CAT-6) in Surat, India. Our vendors are manufacturing the offered LAN cable using high grade raw material and state of the art technology. We are offering the best class product which is extremely utilized in computer laboratories, schools and offices where the need of cables arises daily. 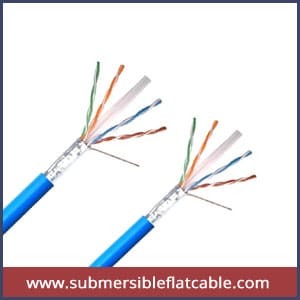 Moreover the UTP Cat 6 cable is finely manufactured with the proper usage of superior raw materials and cutting edge technology which is in supreme compliance with the laid standards. We are even concerned in supplying outstanding varieties of CAT 6 UTP and CAT 5e UTP cables in frequent specifications and designs. We are the direct importers of CAT6 UTP & CAT5e UTP cables. The advantages of the UTP Lan Cables are having high durability, strength, top notch quality and maximum usage. We are offering these cables at the most affordable prices to our precious clients. The features of an innovative push-pull boot design to control the latch, enabling easy access and removal of the cord in tight-fitting areas.